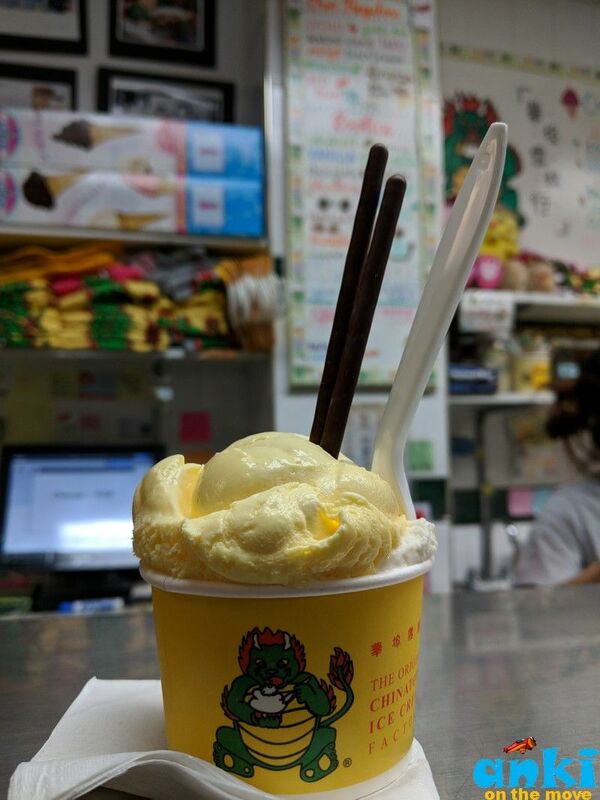 “Both Pasta and Ice-cream was invented in China, “ says Alicia, the food blogger with Free Tours By Foot NYC whereas Pasta ( a descendant of Asian Noodles) was bought to Italy from China by Marco Polo during the 13th century. Ice-cream whereas was invented some 2000 years ago and used to be a non-diary product similar to our current day Sorbet and was frozen on huge blocks of ice because at that time there was no refrigerator. 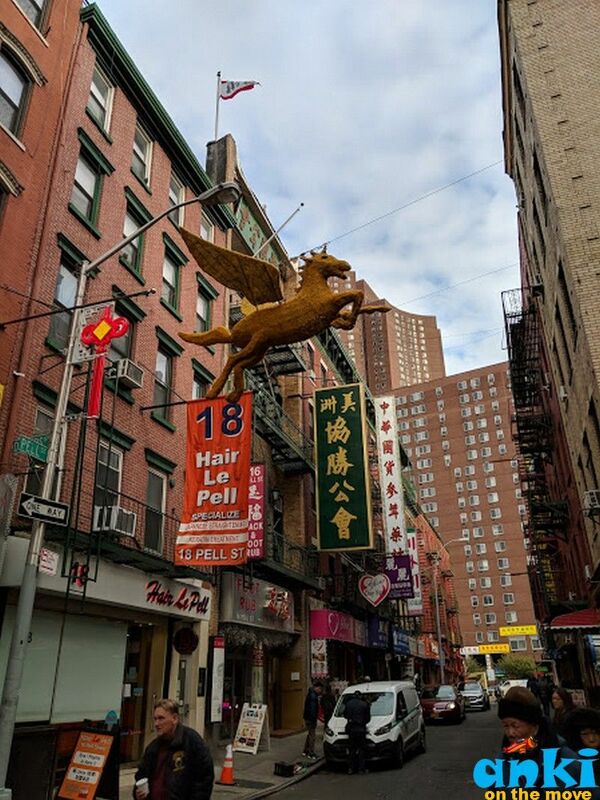 Chinatown in New York is the largest Chinatown in USA - there are about 110,000 - 150,000 Chinese who live here. 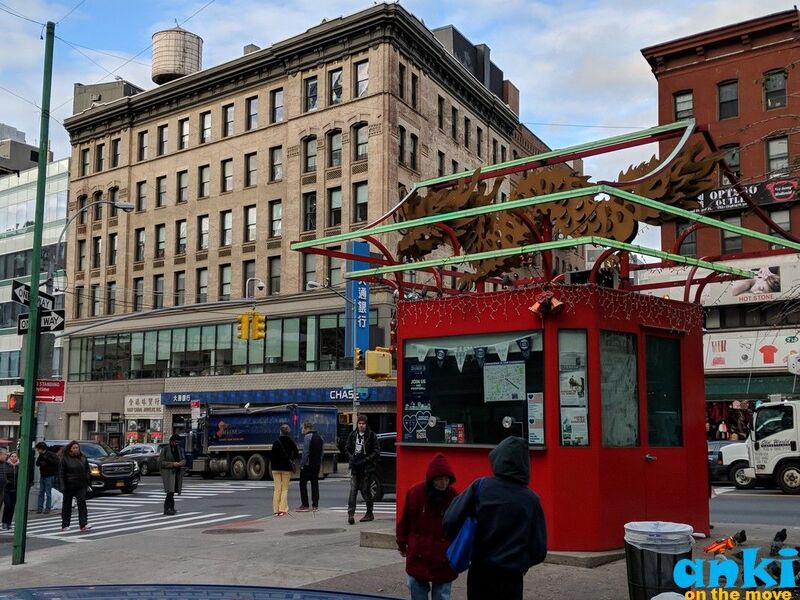 But it is not the only Chinatown in New York - we have another one in Queens where they have about 40,000 Chinese; we have one in Brooklyn where have about 30,000 Chinese and even few blocks of Spanish Harlem is turning into a little Chinatown. For those, who are new to New York or haven’t been ever here, New York is foodies paradise - we have Chinatown , Korea Town , Japan Town and other food outlets , food tours and food festivals that makes New York such a melting pot for variety of cuisines from around the world. This neighborhood was originally called the five points neighborhood which is also shown in the movie “Gangs of New York”. It was a very dangerous neighborhood to live in and there were poor Irish, poor Italians, poor Germans etc who lived there. They considered this neighborhood to be a stepping stone neighborhood where people from different countries would live here long enough to make some money and get out of the neighborhood. 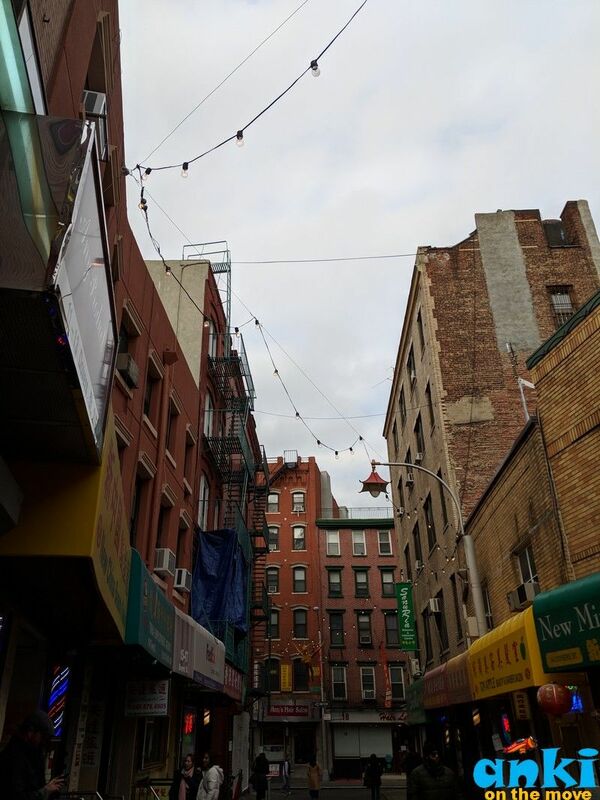 So when you look around Chinatown you would see many cultural neighborhoods around. For example, Little Italy is close because that's where poor Italians lived. In 1897, the neighborhood was tore down because it was a dangerous neighborhood and they felt the easiest way to deal with that problem was to create a park. When you walk in this park, you feel a sense of close knit community there. 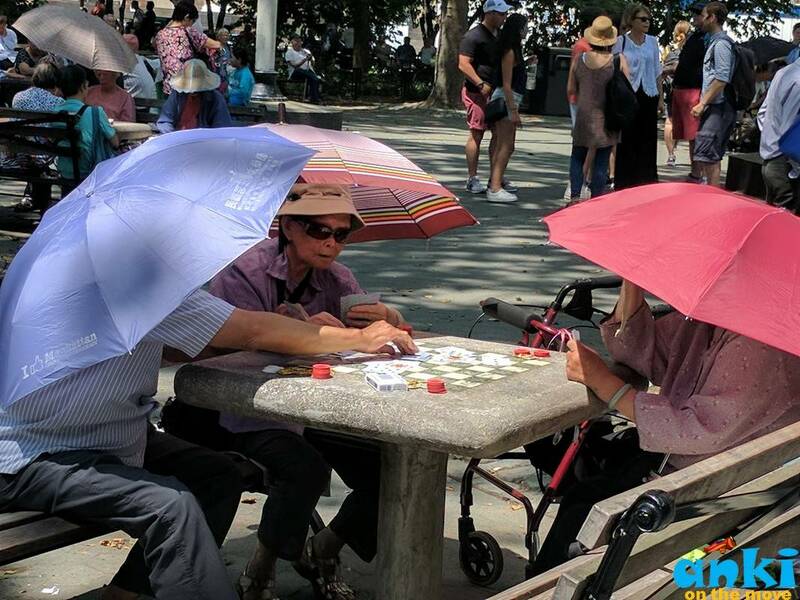 You would see Old-Chinese dudes gambling or you can listen to some Chinese Music players playing in the park. I love walking around the streets in Chinatown.. 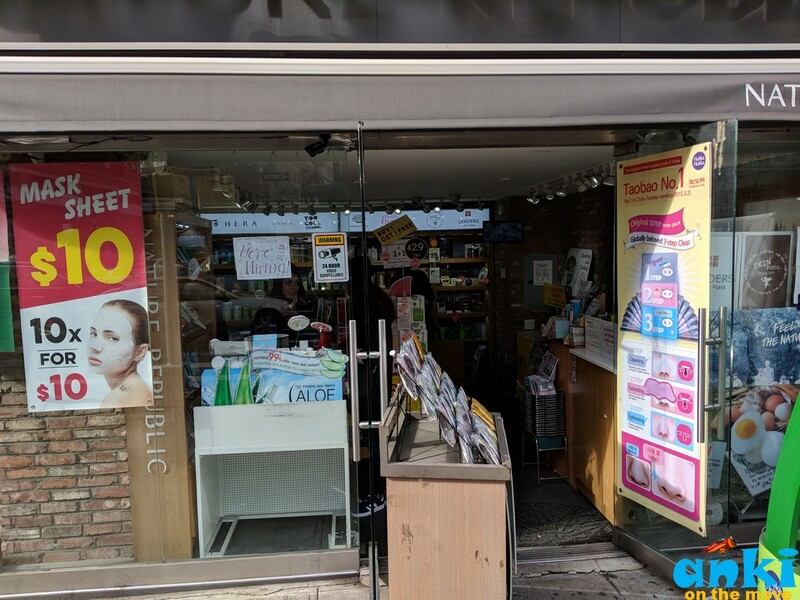 There are many K-beauty shops also here! In 1850’s we had very small Chinatown originally. In 1900, only about 7000 people lived in Chinatown and the number stayed pretty low until 1970’s when the California Gold Rush happened. If you read my post on San Francisco, I have mentioned that San Francisco was once wilderness until California Gold Rush happened. So many Chinese then came from China for the gold rush. The Chinese thought they could strike very big in the Gold Rush. The truth was money was mainly made by people who lived in the mining towns. And so, the Chinese had no choice. “You give up your whole life trying to get to California and you are not finding any Gold, so you can’t go home even if you wanted to. That time it costed about $25 to get back home which is in today’s currency $5000 which for many was their entire life savings.” And so they were forced to work to make money. All of a sudden there was about 10,000 people entering the workforce . People who were living here wanted to move out to better neighborhoods when they earn enough, because there was a whole new set of people willing to take their place at a lesser cost. The Chinese decided to move to East Coast because they did not wanted to be discriminated and they felt the Americans wouldn’t feel threatened here. How did food come to Chinatown? So you had all these men coming to work and that created a Bachelors society in New York where you had to create a surrogate family and one way to do that was to go out and eat.. So, these inexpensive restaurants started popping up where the Chinese would go for meal and sit down with someone from China and create a sense of Community. 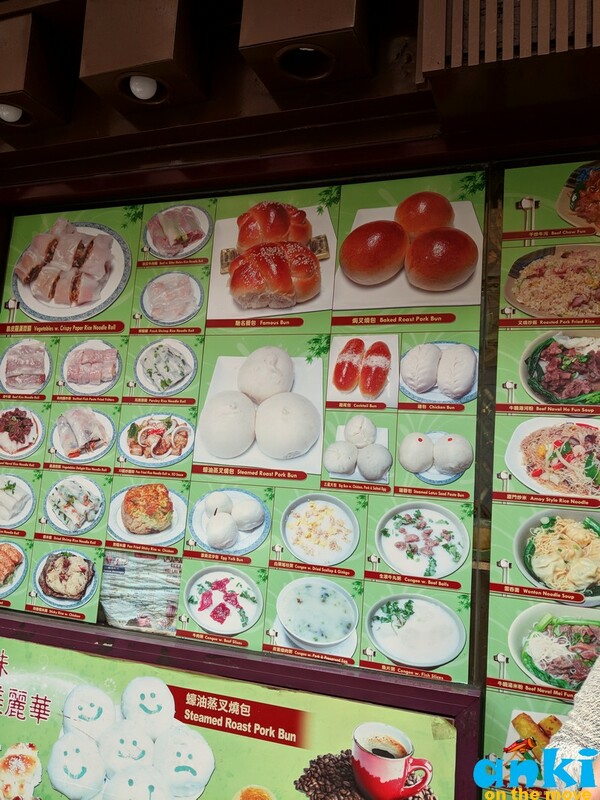 Those restaurants still exists in the form of Dumpling Shops. Have you ever tried Bubble Tea or Boba Tea? Bubble tea was a gimmick or a happy accident that was created in the 1980’s by a women in Taiwan. She owned a tea shop and wanted people to get excited about drinking tea again. So to do this, she thought - she has been to Japan and have seen people using milk in tea and that could get people excited. 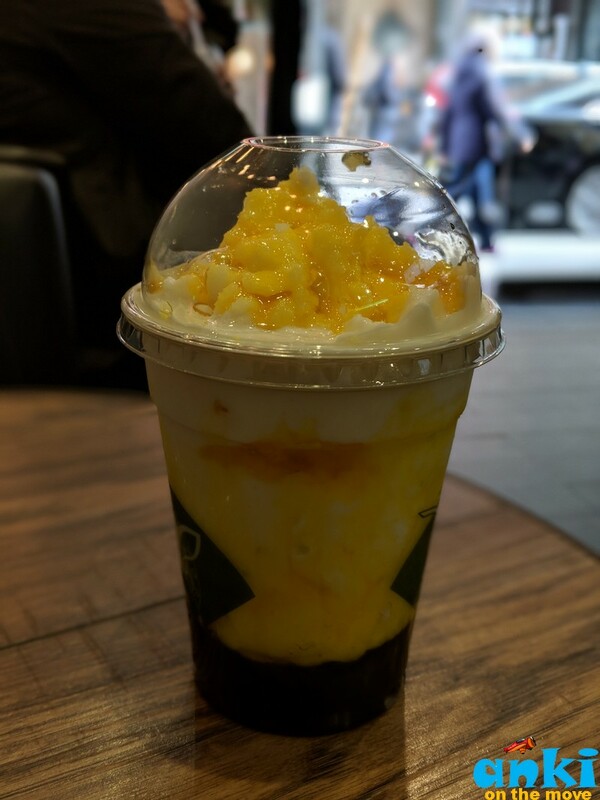 To make it more exciting, she had tapioca pearls (the stuff with which you make tapioca pudding with), she dumped them into the milk tea and that's how Bubble tea was born. Dumplings were invented about 1800 years ago as a form of medicine. 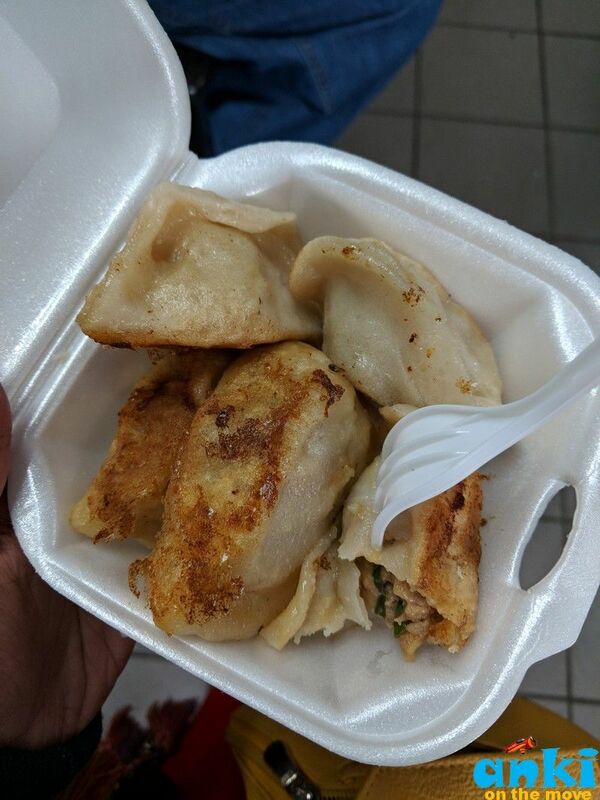 Parts of China was going through a really hard winter one year and as a way to cure people from sickness who were crossing those areas - people picked up dough and filled it with herbs and spices and three of these dumplings with a bit of broth was served to them. This helped people cope up with the winters. This also helped Chinese immigrants cope up with the winters of New York as they are really inexpensive, handy, compact and had a lot of energy. They also say during New Year if you have dumplings at 11 pm, you will have prosperity for the entire New York..
Today’s Dumplings do not have healing herbs and spices but ground pork or veggies. 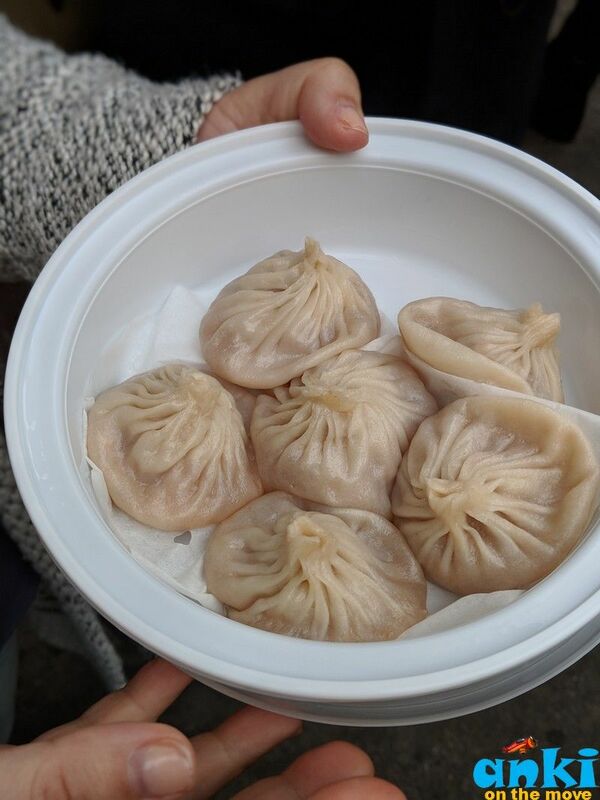 We tried dumplings at Tasty Dumplings. They are from Beijing. The Soup Dumplings - Broth inside the Dumplings! 99% of the time, the name of the restaurant has the name of the place from China. For example, we had dumplings in Tasty Dumpling. ‘Tasty’ then translated in Mandarin is similar to an area in Beijing. Why was Chinese immigration stalled and then reopened? During the phase where there was California Gold Rush and lot of Chinese arrived and started working here, a lot of Americans would think that Chinese would take their job. And so California actually made a law for anyone of Chinese descent entering California. That did not happen until 1882, when the president of US passed a law targeting laborers that stated unless you are dignitary, missionary or a merchant you cannot stay here. You could leave but you wouldn’t be allowed here. So a lot of Chinese stayed. They had more rules on they cannot become US citizen, they cannot use services such as police etc, and so they had to create their own police force and with changes, Chinatown became an inartistic community because they had to provide a lot of these services to themselves. During the involvement of US in world war 2, it realized that if it has to beat Japan, they have to be humble enough to the Chinese that they have made a mistake. And so the doors for immigration were opened for 104 Chinese every year. There were more than that numbers already coming as Dignitaries and Merchants. So the boat would come in every 1st of the month and there was this race to get in in that boat. Because once the quota was full that was it. In 1940’s, US experienced inflow of Chinese refugees. In 1949, China became a communist country and US had a very complicated relationship with Communism. It was not until the civil rights movement, the immigration opened up once again in 1960’s and people from China, Middle East and Dominic Republic started pouring in! Originally it was Cantonese food for the most part and then came Shanghai, Hunan, Schezwan etc. Today it is a melting pot of Chinese Food here with food from different regions of China. 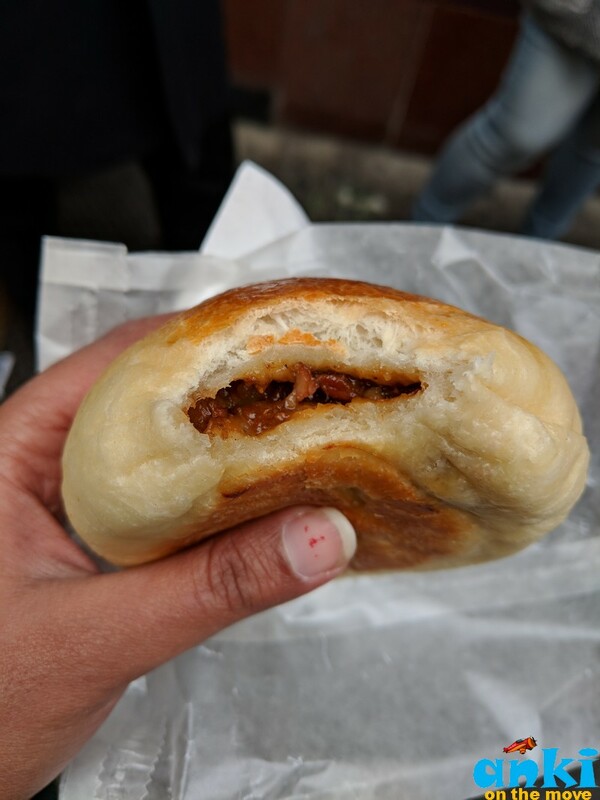 These tender and juice fluffy pork buns are to die for! Bursting with flavor and made out of seemingly fresh ingredients this is something not to be missed. For vegetarians we have Lotus Seed Steamed Bun and Cocktain Bun. In fact the variety at this place is huge! That’s it about Chinatown. All in all, the places that I have been too was really inexpensive and I loved it! 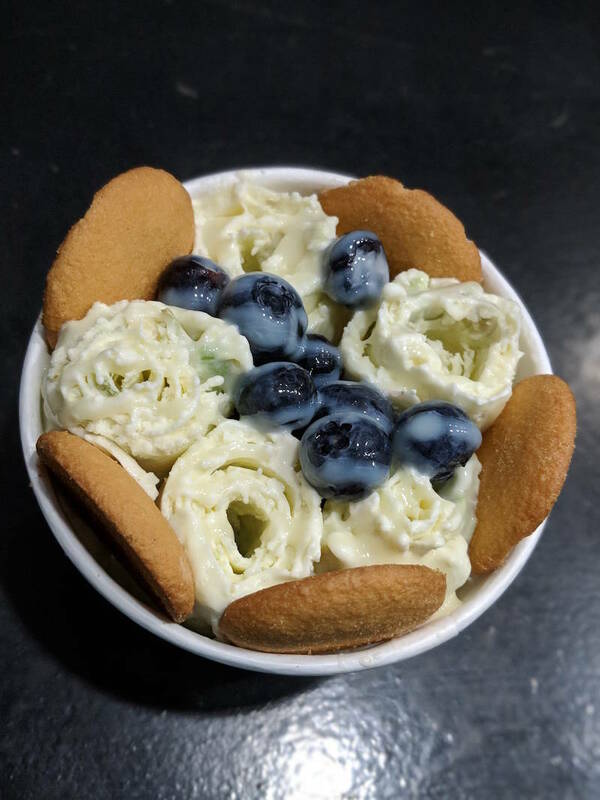 For the first time we had an Avocado Flavored Ice-cream at 10 Below Ice-cream and that too in an ice cream roll form! 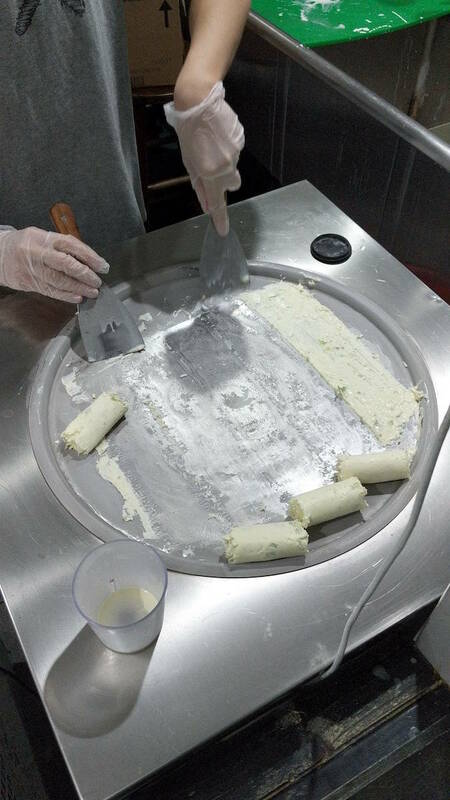 It's an interesting concept when an ice-cream is rolled. The plate on which it is rolled is cold. There have variety of different flavors and toppings to choose from and they taste very natural and creamy. It looks pretty cool when served. It costs $7. Wow after seen you image, water came into mouth. I would like to thank you for the efforts you have made in writing this article. i am hoping the same best work from you in the future as well. in fact your creative writing abilities has inspired me to start my own blog now. Really the blogging is spreading the wings rapidly .